Watching people buy some property and deciding to flip it to make some cold hard cash looks so easy, when you're watching them on HGTV! Some of these shows seem to give you the impression that all you need is a coat of paint, a few shrubs out front, and a few nails into some squeaky stairs to turn a profit right after you've bought a home. The truth about flipping is that it isn't all that easy, especially for those new to the business. Simply sprucing up the place is rarely going to be enough to realize your expected profit. 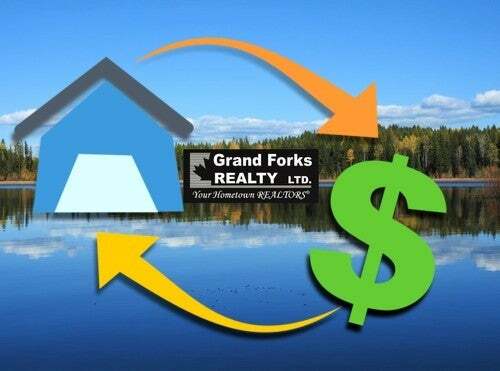 Given the current market conditions in Grand Forks, where vacancy rates are so low they are almost zero, you're better off renting out the place for awhile as you wait for market values to increase over time. Even more so if you bought the property at a time when the economy was shaky. Renting out first has the benefit of additional monthly income over time to help pay off the mortgage and build equity. You buy yourself more time to renovate if required and make even more substantial gain in the future when the right market conditions justify selling. There's always a chance that if you try to flip a home almost immediately, you won't exactly have buyers lined up outside of the front door. You may end up holding onto the property longer than you planned, eating more and more into your profit as time goes on. This is especially the case if the house was priced so cheaply because people simply don't want to live there! People who flip houses for a living often have detailed and realistic timelines for buying, owning, and selling their property. They evaluate the real estate market conditions before jumping into buying. They also take into account financing, maintenance, renovations, and taxation. The latter being the least thought about by newbie flippers. Those who hold onto property for longer and rent it out before selling benefit from paying capital gains taxes at a much lower rate than would be received after a quick sale. When done properly, flipping houses can be a very profitable ventures. If you are considering flipping a home for the first time, make sure to weigh the risks to give yourself the best chance of turning a profit.